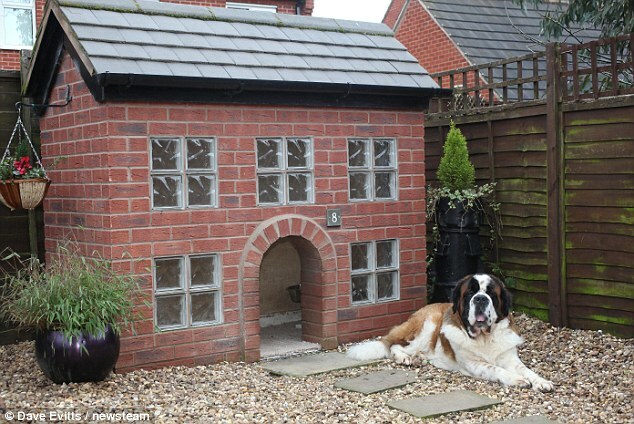 For most dogs, a kennel is made out of a few planks of wood and some rusty nails. 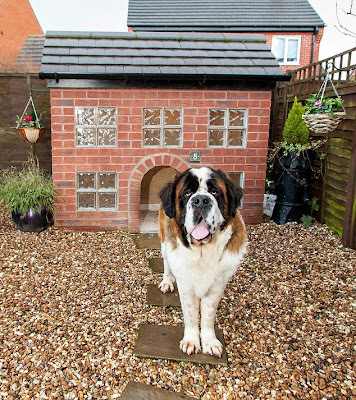 But Wellington, a two-year-old St Bernard, is living it up in his very own brick-built house with carpets, working lights and insulated walls. It even has a gravel drive complete with patio stepping stones and ceramic statues. 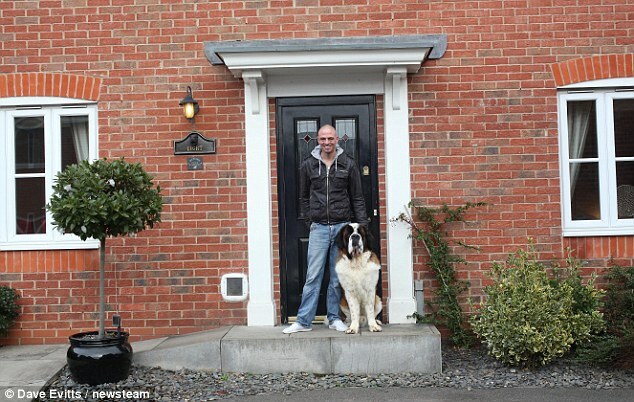 Owner Julian Kite, 37, spent a 84 hours creating the 6.5ft tall, one third replica of his own three-bedroom detached house in Swadlincote, Derbyshire. 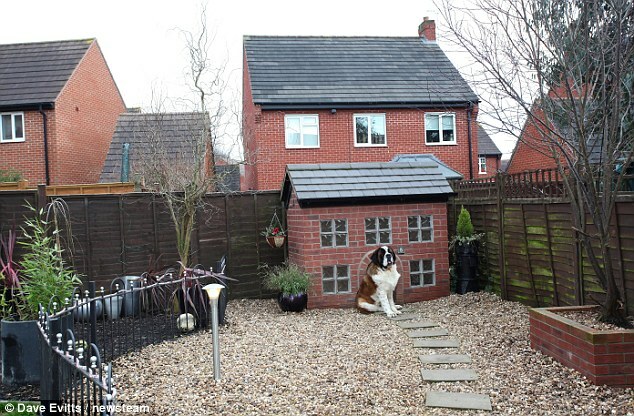 He transformed half of his back garden to accommodate Wellington's kennel, which also boasts glossed skirting boards and a slate roof. 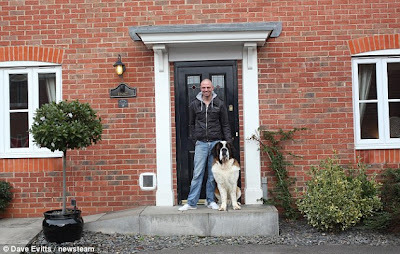 All the hard work paid off when Mr Kite was awarded a £1,000 prize in a national competition to find Britain's grandest dog home. He said: 'Designing and building Wellington's house has been a hobby, so being rewarded in such a way is truly brilliant. Mr Kite started a business making luxury built-to-order kennels after he was made redundant from the construction industry several years ago. 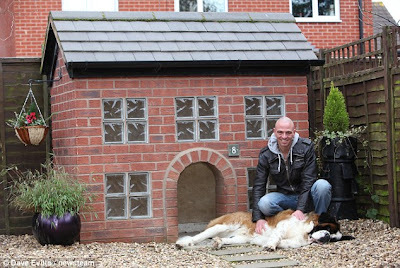 He had been in the building trade since his teens and decided to turn his hand to making replicas of people's homes after he was laid off. He said that his experience allows him to build the bespoke kennels to a high standard. 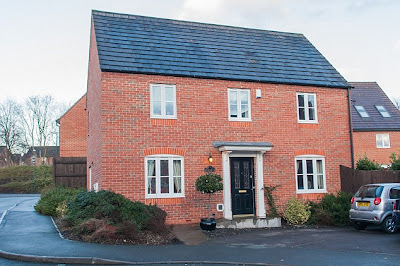 He said: 'It's exactly the same as a traditional house, the masonry, the foundations, a traditional cut roof, it's got electrics and external lights. 'I made one for my own dogs, then friends started asking about them and I decided to do some more.